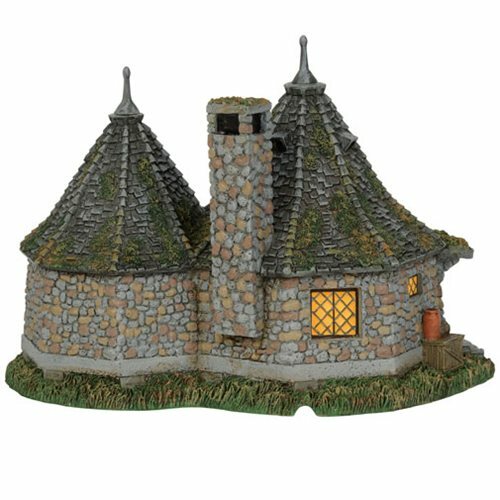 The Harry Potter Village Hagrid's Hut Statue is a must have for fans of J. K. Rowling's Wizarding World. 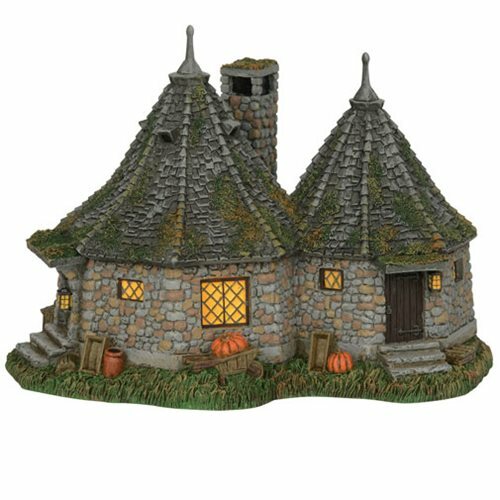 Hagrid's Hut, comprised of 2 round sections with witch hat peaks, is a charming dwelling located at the edge of the Forbidden Forest. The kindly Hagrid, makes his home a welcome spot for Harry and his friends to stop by, perhaps for afternoon tea. Made of Polyresin and Stone Powder the statue can light up with the included power cord. Measures about 8 9/10-inches long x 6 7/10-inches tall x 6-inches wide.